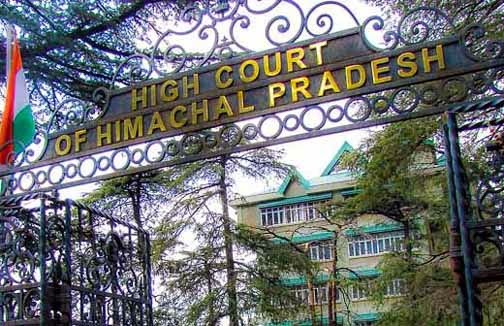 Shimla : The Himachal Pradesh High Court took a dim view of the inordinate delay in the construction of a World Bank-funded road in Shimla's prominent apple belt, and again directed the contractor to complete the work expeditiously. A division bench of Chief Justice Mansoor Ahmad Mir and Justice Tarlok Singh Chauhan observed: "The contractor is directed to take all measures and complete the work expeditiously strictly in terms of the contract. The bench, which had set up a committee of two members, former district and sessions judge B.L. Soni and former chief engineer Arun Sharma, to monitor the progress of the road work, directed it to furnish its report fortnightly. It also asked the committee to see that the money released by the state government to the contractor was used only for the purpose for which it was released and not for any other purpose. "The committee is further directed to point out whether the contractor is working with zeal and in terms of the contract and any defiance made by the contractor shall be brought to the notice of the court," they said. Acting tough about Principal Secretary (Public Works Department) Narender Chauhan, the court said that being the managing director of the Himachal Pradesh Road and Other Infrastructure Development Corporation, he should be responsible to get the work executed in terms of the statement made by him before the court. "In case he feels that the contractor is not fulfilling his contractual obligations in terms of the contract, it's his duty to point out to the court well in time, not the way he has done by filing the affidavit at a belated stage," the bench said. It directed the contractor and government functionaries, including the chief secretary and the principal secretary, to remain present in the court on August 17, the next date of hearing. Last December, the bench took suo motu cognizance and treated the petition as a public interest litigation (PIL) but excluded petitioner (Narender Bragta, horticulture minister in the previous BJP government) from the case as he was a former BJP minister. The petition sought directions to the state government to complete the construction of the 80-km long Theog-Kotkhai-Hatkoti-Rohru stretch efficiently and properly within the stipulated time frame before June 1, 2016.